So, once I create the full access membership, will the original teacher be able to continue to add what she needs to? Is she the one that over rides and approves the full access or is it someone from the Book Share organization? Thank you for your time and response. I could try to help with proof reading too. I have a BSW from The University of Montevallo. I'll go over the new guidelines. I graduated in 1999. I am use to MLA format for the students that need help with MLA papers. Hello! I am attempting to make detailed walkthroughs of how to access Bookshare on the Dolphin Easy Reader app. I tried to use the demo account to maintain student privacy, but Dolphin does not recognize the login. Is there a different demo login we could use? (I tried both the organizational login and individual member login). Thank you! I am trying to login to bookshare in order to volunteer but whenever I try to login to the Bookshare volunteering page I am unable to login because I am getting an error saying I do not have permission to access the page. I have tried changing my password and making a new account but neither has worked. Please help. We have students using bookshare books in ibooks on ipads and it works great. However, if they are asked to find a specifc page by a teacher, they are struggling because ibooks changes the page numbers when you adjust the font size. So the pages do not match the teacher's pages even if the book is the exact same version. Any ideas on how to help support this so students can find the pages easier?? Last week the Bookshare Team presented a webinar on what Bookshare is and how it benefits students, who qualifies, and the many ways students can read Bookshare books, and it included demonstrations of Bookshare Web Reader and iBooks as well as information about other compatible reading tools. It was geared toward educators but includes information relevant to parents as well. We encourage you to review the webinar and share it with others! And let us know if you have any questions. View webinar. Download slides. Last week the Bookshare Team presented a webinar on what Bookshare is and how it works, who qualifies, and the many ways students can read Bookshare books, and it included demonstrations of Bookshare Web Reader and iBooks as well as information about other compatible reading tools. We encourage you to review the webinar and share it with other teachers! And let us know if you have any questions. View webinar. Download slides. I am trying to get my students more active with Bookshare and I too am having issues finding books with images. These will be daisy with text correct? My student is a visual reader and will not want books without images, especially when using elementary textbooks. I have tried to download his reading books "with images" Reading Street and there are no images???? Do any EPUB books have images Any help would be appreciated. RIght now I have access to iBooks, Dolphin and Voice Dream Reader Lite and trying to determine if VD will be the best option. Thanks! 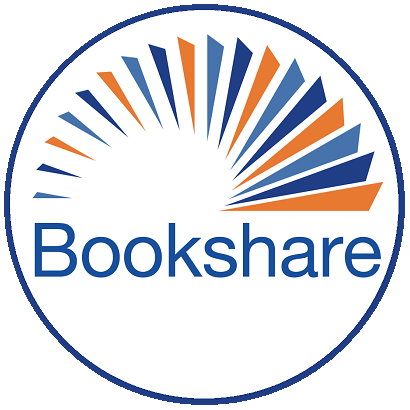 I think that many of us use Bookshare for school and enjoy the Web Reader for many reasons, but mostly for its convenience. But, for students, it's not user-friendly, we need the following features: 1. Ability to save our work in a Student folder, Label multiple folders. Export folders. 2. Highlight text in multiple colors: yellow, blue, green, red. 3. Notes that can be stowed away with tabs on the left side of the screen. 4. List of highlights, notes, and bookmarks on the right side of the screen. 5. Ability to print all notes and highlights. 6. Ability to see a "print preview" page. 7. Ability to create and see multiple bookmarks. 8. "Read to me" in Firefox, as that is what my school requires us to use. 9. Ability to zoom in or out on a book. 10. In Web Reader, it does not sync up with my Microsoft voices. And we should be able to set the Settings once and it should work for all books, but if you want to set it up for one specific book, you should be able to. 11. eBooks reader is a decent template. 12. This would be a BIG HELP: Ability to cite your sources in the styles listed in the Chicago Manual of Style and to create Notes and Bibliography. 13. Ability to Import other ebooks that we buy on the web because Bookshare doesn't have that book. Currently, I have books all over the place. 14. Ability to read PDF and Word documents. Thank you very much for your for your time! I am considering starting a Donors Choose for tablets that my students who do not have internet access can take home use with Bookshare and then return. Has anyone had any experience with this? I want to spend the least amount of money necessary, but want it to work with GoRead since it is a free app. (Don't want to pay for an app too!) Does anyone have advice on which tablets are inexpensive and meet these criteria? I am assigning books to a student. He is using the app on an iPad to access. The mother reports he can see the books but it says "ask teacher for access". I thought I had assigned the books to him. What do I need to do on my end? I'm wondering if anyone has been able to enable Google Play on a compatible Chromebook and be able to use Voice Dream Reader? The Bookshare Web Reader has a number of limitations and my students prefer to be able to use the features of Voice Dream Reader. As so many schools are using Chromebooks having the ability to provide a more robust reader with note-taking and other abilities would be great. Does anyone have other recommendations of what they're using and work with Chromebooks - CaptiVoice/Narrator for example? Thanks! I accidentally added a wrong list to a member. How do I remove it? This will be my sons first year in a school (9th gr). We are purchasing a MACBOOK. He will need to have all his school books available in a non web connected situation Is there anything we need to purchase to keep the school books on the computer off-line so he can read them and have them read to him. We will also be loading his tests and quizzes from the teachers on the computer as they become available. Physical disability prevents use of arms and hands.